Above is an installation shot from the Freak of Nature exhibition at the Switchback Gallery in Victoria, Australia at the Gippsland Centre for Art and Design, Monash University, that opened on September 6th. My lithograph, Misfits, is displayed on the wall that introduces the exhibition. 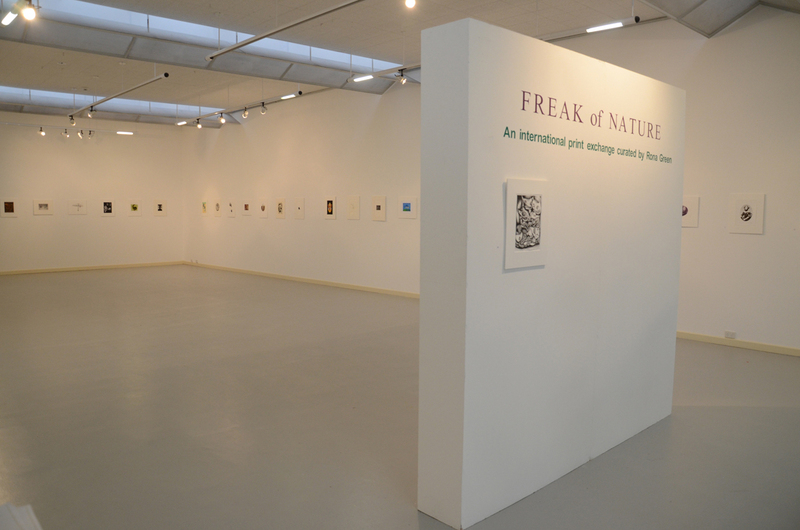 Freak of Nature, an international print exchange curated by Rona Green, includes works by 47 artists from Australia, New Zealand, United Kingdom and the United State of America.